Ford Power Products Authorized Distributor | Smith Power Products Inc. Here at Smith Power Products, we pride ourselves as purveyors of high quality, heavy duty and semi truck parts and services. Which is why it’s only natural that we’ve been selected as a Ford Power Products Authorized Distributor to service the western region of the US. Ford has a stringent process in the selection of new FPP distributors. Similarly, we at SPPI hold ourselves to high standards to maintain our internationally known expertise in repair and service of off-road, semi-trucks and heavy-duty vehicles, engines, maintenance, parts, and more. For Ford power industrial engine parts’ services, parts or repair, we’re your go-to authorized distributor. What Does This Ford Power Product Partnership Mean For You? We’re now able to offer FPP engines, power units, parts and service to OEMs and end-users. With unprecedented access to the manufacturer, you’re in good hands when you come to Smith Power Products at any one of our growing locations across the US. 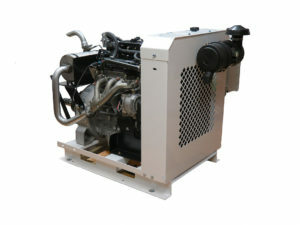 Using a Ford power industrial engine or open power unit lowers the install cost for an OEM build of a new machine and also lowers the operating cost for the end-user when compared to a Tier 4 Final Diesel Engine. Either way, you’re going to save big. Top-of-the-line Ford Power Products always come with their world-renowned quality, reliability, and durability. Couple those deliverables with competitive pricing and savings passed onto you from us at SPPI, you’ve got a winning formula to access and service all your FPP needs. And, you’ll be able to buy the latest Ford Power technology, engines, and parts immediately after release. For example: Get excited for the new RSG862 Ford engine, a brand new FPP engine due to be released in Q1, 2018 — available as a loose industrial engine and open power unit configuration. We have a long-standing reputation in our industry of being the go-to service, repair, and parts provider for all the big brands in the industrial-sized vehicles category. Our customer service is tops, we put on training for technicians throughout the year, we’re always on top of the latest coming direct from the manufacturer — when it comes to semi-truck and heavy-duty vehicles. It’s simply what we do day in and day out. It’s our specialty and our passion. Whether one or an entire fleet of off-highway vehicles and equipment, we can handle it all with ease thanks to our decades of experience, unprecedented access to manufacturers, and ability to provide service at scale across the world. Additionally, we manage a Ford Power engine dealer network in CA for FPP with California strategic locations in W. Sacramento, Bakersfield, and Long Beach. All of which have been outfitted with experienced technicians who have gone through extensive training, and always have the right tools to provide prompt and reliable service nearest you. What Types of Ford Engines Do We Service and Distribute? Our premium engines and transmissions meet stringent Quality, Reliability and Durability requirements. We are able to provide these premium engines at competitive pricing due to our large manufacturing economies-of-scale.